An unexpected remake! I’ve seen rumors about this for the past few months and finally, there’s a confirmation of the production company, which is Group 8. They are best known for producing the Goong series, Boys Over Flower, Playful Kiss, Tamra, the Island and Pretty Man (Bel Ami) which just ended its run. While Group 8‘s production tend to be a hit or miss for me, they’re certainly great in generating buzz for their dramas. The dramas that they produced tend to gear towards the “teen-idol drama” territory so I was really surprised when I heard that they’re gonna remake the hit Taiwanese drama Defeated Queen (敗犬女王) or also known as My Queen which is a romantic-comedy about a woman in her 30s who is successful in her career but a loser in her love-life. No words had been made about the cast yet and Group 8 is still selecting actors and actresses for the roles. It’s definitely been catching people’s attention as a remake of Taiwanese Drama in Korean dramaland is such a rare occurrence since it’s usually the other way round. Group 8 is planning to start filming in the first half of the year and it have been nicknamed as the Taiwanese version of My Name is Kim Sam Soon. I really don’t see any similarities aside from the noona-dongsaeng romance but whatever floats the media’s boat, heh! Personally, Defeated Queen was one of my favorite tw-drama and it aired in 2009, which was a great year for tw-dramaland as their idol dramas tend to garner high ratings. 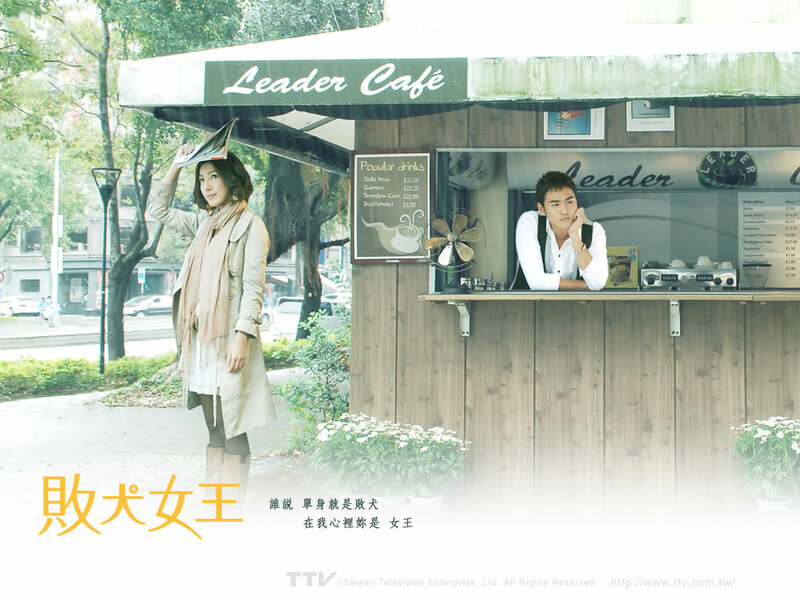 2008-2009 was probably the peak period for tw-dramas as it had a streak of successful idol dramas like Fated to Love You (命中註定我愛你), Autumn Concerto (下一站，幸福) and Defeated Queen. The older female and younger male pairing in Defeated Queen works like a charm, the noona-dongsaeng romance made a wave across the country in that year. It also has a realistic and sensible touch on the conflicts that an older female-younger male couple may face in the later part of the story which is also my favorite bit of the story! Defeated Queen has such an awesome cast, Cheryl Yang, Ethan Ruan and James Wen were fantastic and made their characters came alive. They’re just radiating with so much energy and chemistry that made the whole love triangle so delicious. Even though James Wen only came to the story in the later part, he was soooo intense and charismatic that I almost jumped to his ship. Cheryl Yang made such an awesome heroine that’s strong-willed and smart, I just can’t help to always root for her. Not long after Ethan Ruan made a name for himself through the mega-hit drama Fated to Love You, he made another memorable performance in Defeated Queen. I think that his acting is much more polished and natural in Defeated Queen than Fated to Love You and this is probably his best work so far.. Although I’m excited for this to happen, I’m a bit wary that Group 8 is the production company as their recent dramas had been meh for me. Anyways, I’ll still look forward to this and will update more if there’s word on the cast. Tags: Cheryl Yang, Defeated Queen, Ethan Ruan, James Wen. Bookmark the permalink. Oh, God! Not again…. I already had enough of good dramas turning shabby whenever Korean producers want to remake a Taiwanese or Japanese drama especially when it comes to Group 8…. not to mention that Boys Over Flower, Playful Kiss are the emblems of shabbiness. They were pretty good for Goong’s production…….. actually it was more like mediocre at best but then they were awful in boys over flower…hmmmmm….. However, I can’t deny that they’re able to create the hype for their dramas. Their recent dramas had not been getting good ratings and reviews so I’m pretty wary about this remake but then excited that a tw-drama will be remade into a korean drama. Conflicted! !